Factoids - WE LOVE HIPPOS! Hey! Here are facts about hippos! blood WRONG! 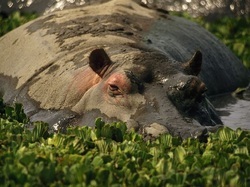 Although they have a red oily substance on them, this substence is a protective coating for hippos NOT BLOOD!